Another library is closed because of a bed bugs - this time it's the Rinconada Library in Palo Alto, the second library in this city affected in the last few weeks, and at least the third library in the Bay Area to host the tiny pests. The city of Palo Alto said the Rinconada Library will be closed until Thursday morning, as pest control inspectors treat the furniture. Dogs sniffed out the bugts in a limited area, the city said, on Tuesday. That was following a bed bug issue discovered at the Mitchell Park Library, which closed, and reopened on Sept. 27. 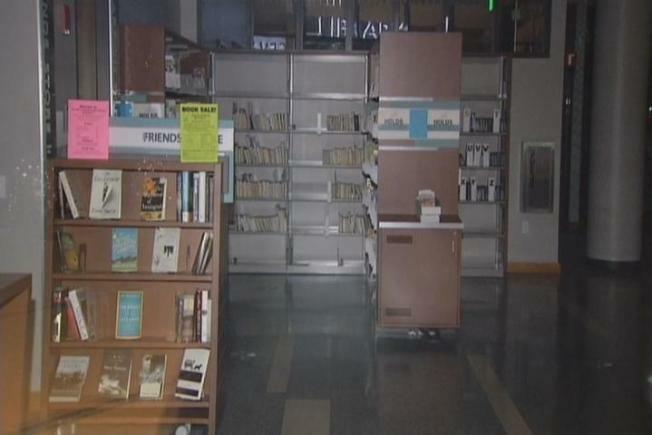 Palo Alto's Downtown Library will be closed on Friday to allow for inspection. Both the Children's Library and College Terrace Library have been free of bugs, the city of Palo Alto said. In Berkeley, the North Branch of the Berkeley Public Library closed Sept. 25 after dogs sniffed out bed bugs in the men's restroom, under the desks of the public computer area and in a chair in the adult reading area. Palo Alto on Wednesday announced it was closing a public library for a couple of days because of a bed bug infestation. Michelle Roberts reports. Bed bugs, the city said, are not uncommon at libraries and they can sometimes be transported through the sharing of books. The New York Times even did a piece in 2012 called “A Dark and Itchy Night,” about the bed bugs finding a “new way to hitchhike in and out of beds: library books.” The article cites cases of bed bugs at the Los Angeles Central Library, a library in Wichita, Kansas and a library in Islip, NY. The common bed bug, or cimex lectularius, has long fed on blood, caused itchy bites and generally irritated their human hosts, cites the the Environmental Protection Agency. The EPA, the Centers for Disease Control and Prevention and the United States Department of Agriculture all consider bed bugs a public health pest. However, unlike most public health pests, bed bugs are not known to transmit or spread disease. Experts believe the recent increase in bed bugs in the United States may be due to more travel, lack of knowledge about preventing infestations, increased resistance of bed bugs to pesticides, and ineffective pest control practices, according to the EPA website. For tips on preventing bed bug infestations, click here.